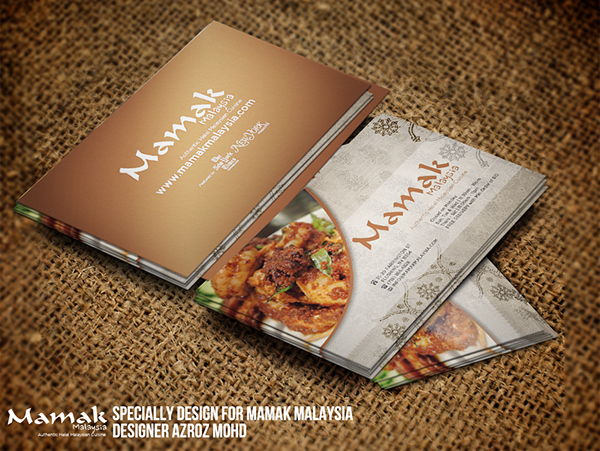 Current project: Mamak Malaysia | Visit website here. Project description: Mamak Malaysia is a restaurant located in Flushing, Queens NYC. Recently featured in NYTimes.com as the authentic Malaysian cuisine restaurant. Mamak Malaysia facebook cover. The background is vintage brown batik patern. The new menu booklet design. 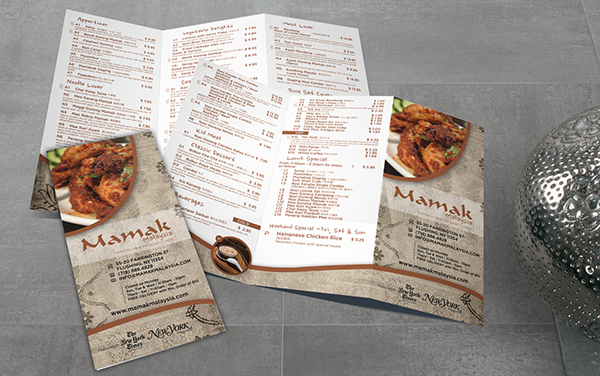 Mamak Malaysia new tri-fold brochure design. 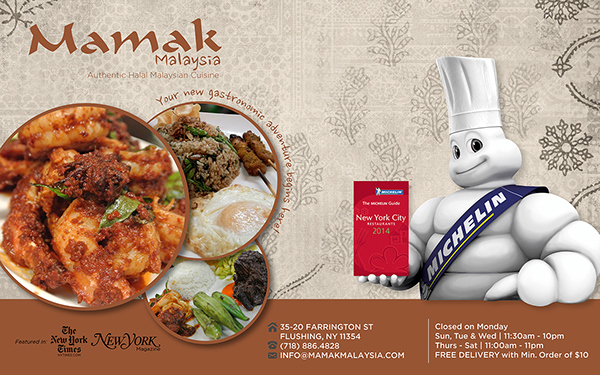 Cover for the front webpage as the restaurant just got recommended in Michelin 2014 New York City Restaurant Guide!